Get more deals done with expert boat financing…. Customers value easy financing and low monthly payments. Turn your dealership into a financing powerhouse with Blue Water Finance. We’re the retail financing service at Brunswick, the worldwide marine manufacturer. 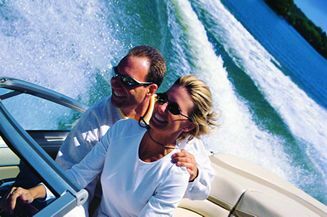 Our consultants work with leading lenders and aftermarket providers so you can offer boaters expert financing, product protection and insurance. No fixed service costs – just more deals done and buyer satisfaction. It pays to have Blue Water Finance behind you. Try us. You'll like the results. Call 866-350-2583 today.